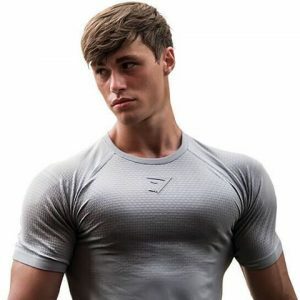 David Laid is an Estonian-American bodybuilder, fitness model and social media star. He is best known for his videos on his YouTube channel ‘David Laid’, where he has more than 708k subscribers and growing. He also posts a mix of photos and workout videos on his Instagram account where he has more than 1m followers. Born on January 29, 1998, in Estonia, he has two younger brothers. David lost his father in an accident when he was 2 years old. A few year later, the family moved to the US and settled in New Jersey, where he attended Mainland Regional High School. He began to transform his body beginning at the age of fourteen. Siblings: He has two siblings. *He was born on January 29, 1998 in Estonia. *He lost his father at the age of 2. *He is fluent in English and Russian. *He currently lives in New Jersey. *Follow him on YouTube and Instagram.